Q1. Should we still be on Twitter? Is Twitter Marketing alive? Absolutely! Alive as ever! Twitter is the most unique platform in its openness: You can reach out to anyone! Q2. What are some ways to market a business organically on Twitter? Also, monitor trends and post eye-catching visual content around the current trends. This works wonders! Post polls around current trends: Those spread well too! Q3. Let’s talk about Ads, any tips? Best practices? Like I said, Twitter ads are still not as effective as Facebook ads. Q4. Tell us about what you do and how you can help people with their Twitter strategy? Using Paper.li to emphasize upon all those efforts is always part of my Twitter strategy too! Q5. Which marketing tools would you recommend for content creation on Twitter / SoMe? Q6. How can you successfully connect and engage with potential clients on Twitter? 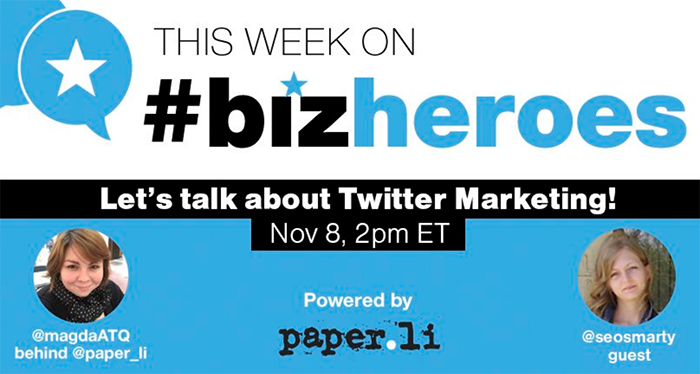 Use Viral Content Buzz @VCBuzz to get your content tweeted. Q7. Can you share some tips on how to convert your audience to clients / buyers? Q8. Does content on SoMe also need to be SEO optimized? Why? Besides, each social media platform has search engine of its own and you want to be findable! Q9. Bonus! Tag those who are nailing Twitter Marketing!